← Espresso Kahlua Brownies- Gluten and Lactose Free and AWESOME! Which Green Choice is Better- Lighters or Matches? My son and I were discussing whether lighters or matches were a greener choice. It came up at a party we had the other night and people were divided on which choice was greener. We recently stopped buying disposable lighters because of the plastic involved and my abhorrence for anything disposable. We had switched to kitchen matches for lighting candles and/or the grill. A friend pointed out that matches has fairly toxic because of all the chemicals used to make them. 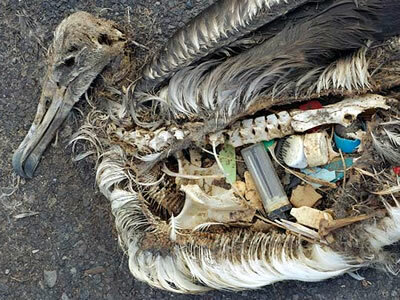 After seeing photos like these of baby albatross chicks who’ve ingested plastic lighters, I decided that would never buy another one of those things. Albatross chicks on Midway Island, thousands of miles from civilization, swallow plastic bottle caps, plastic toys, and plastic lighters. And even if plastic lighters don’t end up inside an unsuspecting animal, they’ll still wind up lasting forever in a landfill. Here’s what I found out about wooden matches; The wood comes from Aspen or poplar and is impregnated with ammonium phosphate and paraffin wax…. The heads are a mixture of potassium chlorate with animal glue together with inert materials to moderate combustion and minor amounts of red amorphous phosphorus and colorants. Sounds like an awful lot of chemicals compared to butane. So much for that being a better choice. So I dove in and researched the issue. I reached the decision that neither wooden matches or a disposable lighter were the answer. Cardboard, book matches are too small, hard to use and still come packaged in plastic. I decided that a refillable lighter was the way I would go! I already use only beeswax candles and oil burners for lanterns, so considering that I would use a lighter mostly for lighting candles and lanterns, and for camping, this is what I will get! IMCO Lighters– IMCO is the second oldest operational lighter manufacturer in the world, second only to Ronson in the USA. In 1907 Vienna, Julius Meister founded the Austrian button and hardware factory Julius Meister & Co. “IMCO” was created from these initials. The factory initially mainly produced buttons for the military. After WW I, there was no longer a demand for these and so, from 1918 onwards, IMCO switched to the production of cigarette lighters. In the early days, these were made of empty cartridge cases. The shape of the cartridges could still be seen in the forms of the early IMCO lighters. The first IMCO lighter was developed between 1918 and 1919 and in 1922 the first patent was registered, No. 89538. Since then, around 70 different lighters have been developed and sold worldwide. The Austrian lighter industry entered the 20th century as market leader, for the flint lighter (“Auermet”) was also created by the Austrian Auer von Welsbach. Among the enormous number of firms operating today, there are sadly now only two providing Austrian quality in the sector. The windscreens on the Super Triplex help light up on a windy day. Light them without touching a spark wheel. The Juniors and still work great outdoors since the base of the flame is protected. Great for camping, hiking, lighting cookstoves, pipes, grills, candles, etc. These are affordable and the only thing I will need to ever buy again will be lighter fluid and flints! The IMCO is the one I will go with as I like their choices, durability and history!